Drawing a blank? Enter a search term or browse the shop for inspiration. Make your own sloe gin with the fruit of the blackthorn. A fast-growing, attractive tree - even in poor soil. Jellies and jams can be made with the fruit of this tree. Grows in almost any soil and can support over 300 other species. Great for coppicing, hazel trees brim with life. Bright red berries add a welcome splash of winter colour. A hardy species that can survive in almost any weather. A hardy evergreen that that can live for thousands of years. Attract all manner of wildlife with this colourful species. 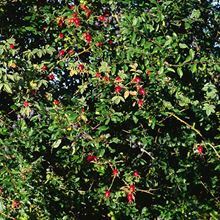 Welcome wildlife with this easy to manage hedging mix. 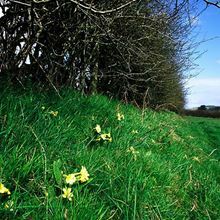 Give wildlife a helping hand with a hedgerow. Crimson stems and red autumn leaves bring colour all year. Pretty white flowers enhance any hedge or border. The Woodland Trust is a charity registered in England and Wales (No. 294344) and in Scotland (No. SC038885). A non-profit making company limited by guarantee. Registered in England No. 1982873. Woodland Trust (Enterprises) Limited, registered in England (No. 2296645), a wholly owned subsidiary of the Woodland Trust. Registered office: Kempton Way, Grantham, Lincolnshire, NG31 6LL. Telephone 01476 581 111. The Woodland Trust logo, and the Woodland Trust Nature Detectives logos are registered trademarks. Images © protected Woodland Trust.